NoteBurner M4V Converter Plus: Convert DRM M4V movie rentals and purchases from iThunes to other devices. Other than a new red dock icon—replacing the blue one first introduced in iTunes 10—that went without mention during Apple’s Worldwide Developers Conference, the event came and went without any mention of an update to iTunes. Then, on Octorber 17, 2014, along with the OS X Yosemite, the official version of iTunes 12 popped up in the Mac App Store. While the app’s core remains pretty much the same as before, iTunes 12’s top control bar has been completely redesigned, now matching the look of iOS 7 and iOS 8 even more closely. So you may have a question: Is NoteBurner M4V Converter Plus compatible with iTunes 12? Of course, the answer is yes! The latest versions of both NoteBurner M4V Converter Plus for Win and NoteBurner M4V Converter Plus for Mac work fine with iTunes 12. While that’s all still there, the design is now much flatter. Instead of gradients and textures, there are just a few shades of gray: one for the background, another for the buttons, and a third for the search bar. The shapes are simpler, too. In iTunes 11, different content categories are reached from a drop-down “Library” menu underneath the play controls. 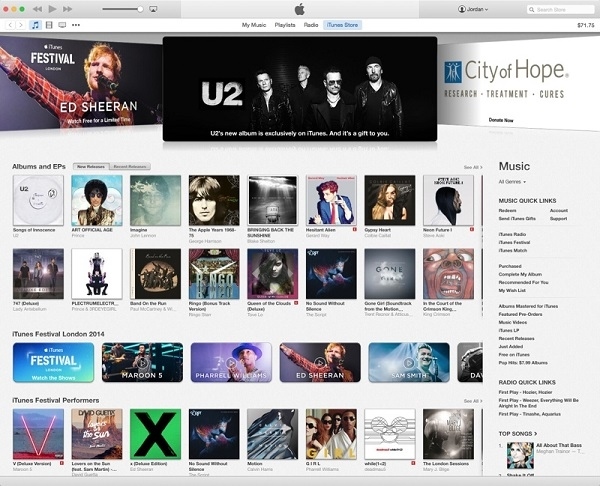 iTunes 12 changes that. Icons representing the different categories are now lined up in a row, right next to an icon that allows you to switch between the library on your Mac or PC and any computers you have set up through Home Sharing. One of the features of iTunes that’s seen the fewest changes over the years is the Get Info screen; this is the first time in iTunes’ history that it’s been totally redesigned. Right-click any piece of media, and it will appear as one of the options. Somewhat confusingly, the list of iTunes-connected devices has become just one more icon—typically the shape of an iPhone or iPad—in the collection below the playback controls. Once you click on that icon, you’ll either be given a list of connected devices to select from, or taken straight to the new Device layout. 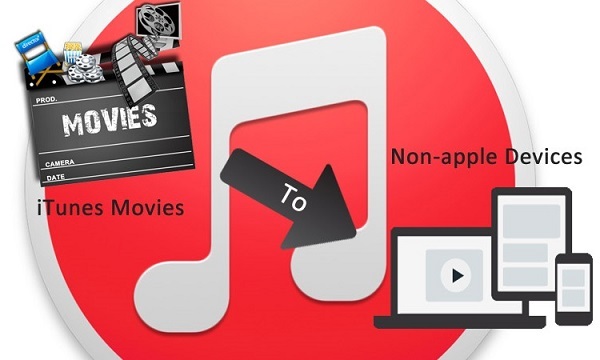 Q: How to Import movies to non-Apple devices from iTunes 12? Movies purchased from iTunes are protected by DRM, and you are not able to sync or transfer them to non-Apple devices like Samsung Galaxy Note 4 and Nexus 6 for enjoying. The best way is to remove DRM from iTunes M4V movies and then convert iTunes M4V to various video formats like MP4, MOV, AVI, WMV and etc. NoteBurner M4V Converter Plus is the best iTunes DRM M4V remover and converter which can not only convert iTunes purchases, but also convert iTunes rentals with high speed conversion and high output video quality. 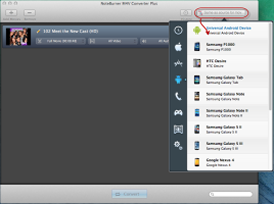 • Launch NoteBurner M4V Converter Plus after you download and install it. Click "Add" button on the upper left of the interface and then import the movies or TV shows you need to convert. • You can choose the output format according to your devices or use "Customize MP4 Video" file and change the parameters on your own. The DRM M4V Converter provides flexible options to customize output video. You can change the video codec, biterate, size and even remove the scenes you do not need to preserve. • Click "Convert" button to start the conversion. Once it finishes conversion, you can open the output folder to find the converted video file. Now you can import the converted iTunes movies to your device supported format by USB line or wireless connections. From now on, you can watch iTunes movies on non-Apple devices anywhere and anytime. Nothing can stop you from this keen enjoyment that NoteBurner M4V Converter Plus brings you at leisure.